Do You Know What Your Ice Cream Contains? Ice cream can be defined as a frozen mixture of air and sweetened cream, containing added flavorings. In the manufacturing process of ice cream there are a wide range of ingredients that are used. These ingredients include milk fats and solids, accepted sweeteners, stabilizers and emulsifiers, and flavors. Some of the stabilizers used currently include guar gum. The stabilizers are proteins or carbohydrates that add viscosity to the ice cream and control crystallization. They keep the tiny crystals apart so that they do not form bigger crystals which give ice cream a coarse texture. Ice cream in usually found in the market as hard or soft ice cream. During the manufacture if ice cream, there are a series of stages that are followed before the ice cream is ready for supply. First the milk fats and solids, emulsifiers, stabilizers and air are thoroughly mixed to form a continuous liquid. This liquid is then pasteurized at 680C for 30 minutes or 790C for 25 seconds. The mixture is then homogenized to reduce size of milk fat and ensure stabilizers such as guar gum and emulsifiers are properly blended and distributed before aging the ice cream so that the stabilizers crystallize. Flavoring is done thereafter then freezing and packaging follow. The ice cream may then be hardened or not. Guar gum ice cream additive is the best stabilizer which ensures uniform solubility and viscosity and the edible guar gum is available in the market in different grades with food grade guar gum found in powder form. It is advisable to use guar gum for ice cream manufacture because it has a strong thickeing ability which gives the ice cream a nice viscosity. At the same time addition of guar gum for ice cream stabilizing has been found to be economical because it has a higher water thickening potential, up to eight times more than cornstarch. This gives it the ability to be used as an emulsifier to prevent coalescing of oil droplets and as a stabilizer to prevent settling of solid particles. Guar gum ice cream additive retards the formation of crystals and is stable during freezing and thawing processes. Food grade guar gum is manufactured from the guar seed commonly found in the tropical Asia while Xanthan gum is manufactured from a microorganism known as Xanthomonas campestris. This means that guar gum is made from natural products while xanthan gum is synthetic or manmade. Natural products are the most trusted when it comes to healthy food products. The bacterium that is used to make xanthan is extracted from corn which currently found in the market as one of the most genetically engineered foods. Because of this factor xanthan gum has been found to contribute to gastric distress in its consumers. Guar gum is also much cheaper than xanthan gum costing less than half of xanthan gum’s price. Guar gum also works better in cold and frozen foods making it better than xanthan gum when processing ice cream. 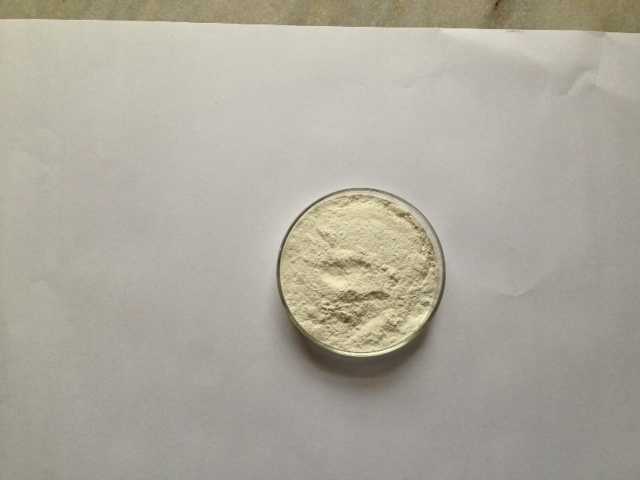 For more details please visit: https://www.altrafine.com/guar_gum_powder.html. The use of natural herbs such as Guar for weight loss is slowly becoming a popular remedy. The guar seed is crushed and the powder used to produce guar gum. Guar gum produced is a fibre which increases the metabolic activity of the body and therefore reducing the amount of glucose and cholesterol taken in by the stomach and hence believed to reduce weight. Other commonly used natural herbs for weight loss are cinnamon, green tea and ginseng. They all aid in reducing weight by increase metabolism of the body and hence regulate cholesterol. The reason as to why many people prefer to use natural herbs for weight loss is mainly because, guar offers a guarantee for quick and instant weight loss as compared to working out in the gym every day which can be tiresome consuming and definitely tiresome. Honestly speaking, why should one wait until you’re over weight only for you to start spending lots of money to purchase herbs to reduce weight? It’s a fact that losing weight is one difficult task but may be a must do thing for anybody who wants to live longer due to the heart related diseases that being overweight brings. Statistics by the WHO have revealed that about obesity is among the top five risks for global deaths. As at 2008, over 400 million adults were ranked as either over weight or obsess. Approximately 2.8 million adults die every year as an outcome of being either overweight or obese. Guar in weight loss is widely uses by people and many have testified that it is an effective natural herb. Its high fibre content is responsible for promoting fat burning, as it reduces your appetite completely by expanding the intestines size and hence creates a sense of fullness. As a result the body uses fat in the body to produce energy for the body. Chewing the Guar dehydrates the body of water and makes the user to take a lot of water. Water is important in reducing the fat level of the body as calories are required to increase the temperature of water to reach body temperature of 370 C.
• Weight loss by guar is less tiresome and less expensive as it only requires one to chew the guar gum often. This is not comparable to going to the gym to work out. Guar gum has been approved by physicians as a good natural herb not only for weight loss but also as a food additive. However you are warned to regulate use of guar due to its dehydration ability. Apart from weight loss, guar natural herb contains tonics which are responsible for boosting of the nervous system. Herbs help give the user positive feeling and strength to exercise. The fibre content it contains helps in making you feel satisfied. To know more about guar gum please visit: https://www.altrafine.com/manufacturing_and_quality.html. The backbone of India’s economy is agriculture and agricultural commodities contribute significantly to its Gross domestic product. The major agricultural commodities in India include crops such as jute, rice, millets, and castor seed. In terms of global production India is the second biggest producer of wheat and rice. Other important commodities include barley, oats lentils, chick peas, coffee, dry bean and pulses. The most traded commodities include soy bean and its products, mustard seed and palm oil. Grains that are most actively traded include rice, corn, barley, wheat and gram the commodities market also trades in spices such as Jeera, pepper, turmeric, Dhanya, chili and cardamom, potatoes, cotton and sugar. Guar or the cluster bean is another commodity traded in India’s agricultural commodities market. It is a hardy plant with the appearance of a shrub and is well adapted to grow in dry conditions and is grown in the dry areas of the Indian continent. It grows to a height of approximately 3 meters, bears purple flowers and grown for grain consumption similar to the dry bean. It is mainly used in the production of guar gum which is used in various industrial activities such as mining, petroleum drilling, and as a gelling agent. This powder has the capacity to combine water molecules hence produce a viscous fluid. This particular feature has made the cluster bean so valuable that its production has been promoted vigorously. India currently produces over 10,000 tons of guar every year. 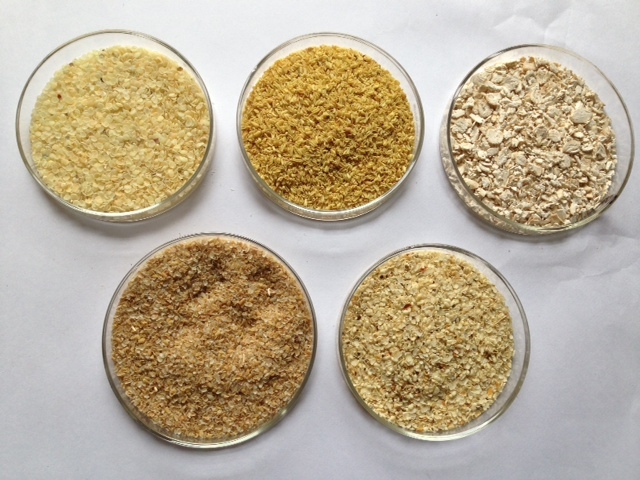 The main market for guar is influenced by the demands of the petroleum sector and for the oil drilling in the petroleum producing countries of the world. The biggest consumer of guar and its products being the united states of America which consumes over 70000 tones of guar gum annually. The major factors affecting guar trading are similar to those factors that affect agricultural commodities. These include market factors such as demand and supply. Irregularities of supply are a key factor in determining the marketing of the cluster bean. Over supply leads to flooding of the market with the product leading to drop in the prices; the marketing of guar is also affected y the rainfall patterns since most of guar production is rain fed. Despite the crop being draught resistant it requires a certain amount of rain to do well. Planting of the crop is done just after the monsoon rainfall and it is sometimes affected by excessive water. 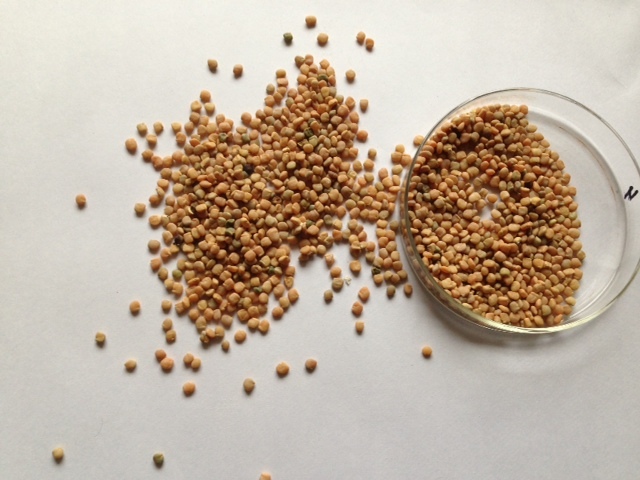 Other concerns in the marketing of guar include lacking government subsidies, insufficient technical information and production techniques to achieve stable production. Product hoarding awaiting good prices also negatively affects guar marketing. In a hydrocolloid the colloid particles, which are hydrophilic polymers, disperse and spread in the entire water. A colloid, according to the dictionary meaning, is a substance that disperses microscopically, all through another substance. Hydrocolloids or gums are polymers which have the property to form glutinous or gels when it is dispelled in water. They were initially found in the discharge from trees, shrubs, or the extract got from plants etc. These are complex sugars except gelatin which is a protein. These are a group of compounds like proteins, starches, cellulose etc. which act as thickening, gelling and stabilizing agents for water-based liquids like milk, soda, juice etc. Some common hydrocolloids are wheat flour, cornstarch, arrowroot and gelatin. These are extensively used in the food industry as stabilizers, thickeners and binding agents to create texture in salad dressings, soups and various sauces, in ice creams so that they do not freeze very hard and in many more products. They are used in very small amount but the effect is immense. Hydrocolloids are obtained from natural sources like seeds, plant roots, seaweeds, sap of a tree, peels of fruits etc. Various natural hydrocolloids include agar-agar from sea weeds, guar gum from seeds, gumarabic from tree sap, pectin from fruits etc. The water binding properties of hydrocolloids help to change the texture and the mouthfeel of the food. Their interaction with the protein helps to stabilize and protect the protein in the food. A range of natural hydrocolloids are available in the market and are used in the food industry as binding agents. Cassia Gum, a natural polysaccharide galactomannan has excellent binding properties as compared to the other naturally obtained hydrocolloidal gums. This off-white, practically odorless powder is economical product widely used in pharmaceutical industry for forming tablets. It is also used as a binding agent in meat and poultry products. Some other popular forms of natural binding agents and gums widely used in food and other commercial processes are agar-agar, arrow root, gelatine, alginates, tragacanth etc. Thus hydrocolloids perform a number of functions. As they are water soluble they help to improve the texture and flavor of food, and play a very vital role in the food industry. Cassia is primarily a highly effective carminative, stimulant, and tonic. In fact, it is valued as one of the best domestic, as well as industrial product available in the market today. The seeds of cassia obtusifolia and cassia tora are utilized for producing cassia gum powder. This refined and purified flour is basically a natural gelling agent. It is actually mixed with some hydrocollids such as xanthan gum and carrageenan to form an ideal gel, which has several distinct properties. Nowadays, there is an increasing demand for cassia gum powderacross the globe. This is because it has lots of industrial applications. 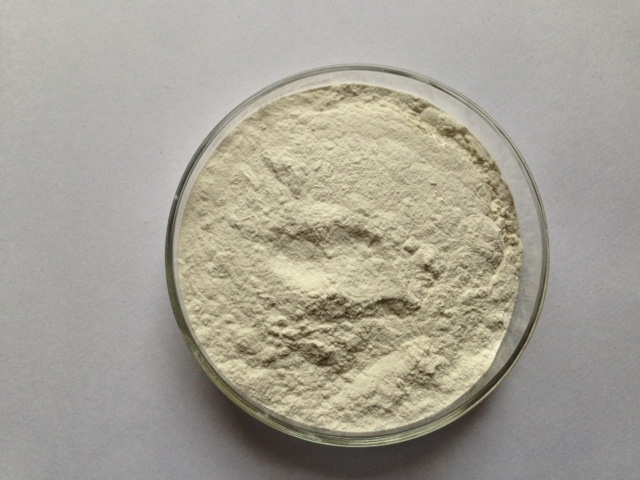 Today, cassia gum powder is used in various fields. This includes the food industry, where it is commonly utilized for different purposes such as an emulsifier, foam stabilizer, moisture retention agent, texturizer, thickener, etc. Moreover, the various cassia gum products that are available as commercial products in the market includes cheese, dairy mixes, frozen dairy desserts, meat products, and poultry products. 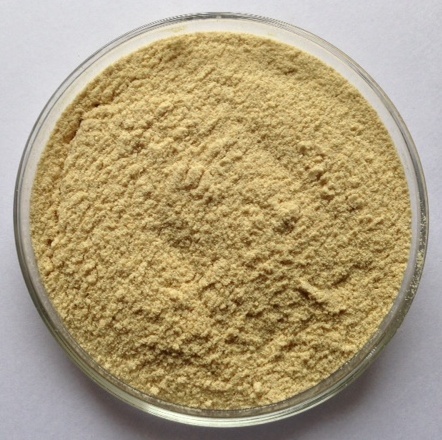 Hence, cassia gum powder is now regarded as one of the best human food additive. Besides this, it has several other applications in numerous industrial segments which include cosmetics, mining, paper production, pharmaceuticals, textiles, water treatment plants, etc. 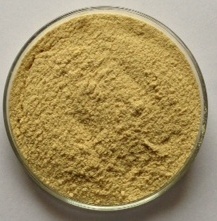 Cassia gum powder is also well known as cassia tora powder. It is actually prepared from the cassia tora seeds and cassia tora splits; as well as some other natural ingredients. This multi purpose powder is used in the agriculture sector as a natural pesticide in organic farms. Moreover, the roasted seeds of cassia tora can also be utilized instead of coffee seeds. 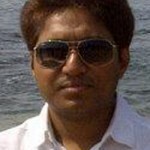 Besides this, it is also mixed with guar gum for using it in the mining industry; and also for many other applications. 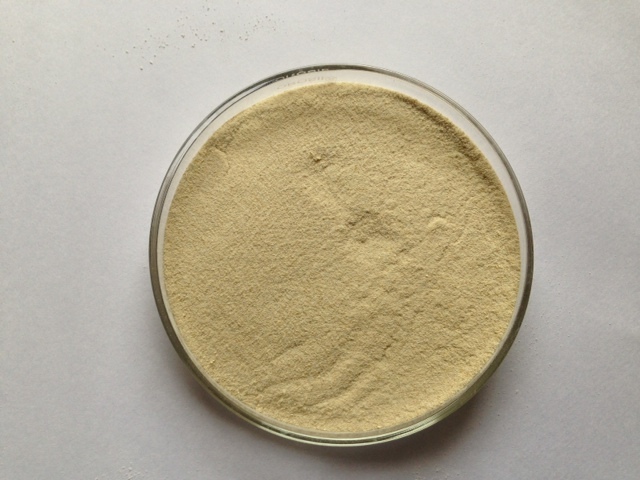 In fact, cassia tora powder has gained immense popularity as a pet food and cattle feed additive. It is therefore widely used as a gelling, stabilizing, and thickening agent, while manufacturing canned foods for pets, such as cats and dogs. Earlier the global market for cassia gum powder was limited because most of the countries did not permit its usage, or imposed limits on its use. However, recently several countries have realized that cassia gum powder is highly beneficial. Hence they have now approved the usage of this excellent powder within their country for various purposes. This includes using cassia gum powder for foods related to humans as well as animals. Today, India is regarded as a major exporter of cassia gum powder. Whereas the numerous countries that now import cassia gum powder includes UK, USA, Australia, Belgium, Canada, France, Germany, Singapore, Hongkong, Philippines, South Africa, Kenya, South Korea, Italy, Japan, Iraq, China, Switzerland, Netherland, Malaysia, Iceland, Thailand, Brazil, New Zealand, Dubai, Swedherland, Russia, Turkey, Spain, Peru, Poland, Zimbabwe, Argentina, Republic of Czech, Vietnam, Jordan, Norway, Greece, Egypt, Indonesia, Bahrain, Tanzania, Chile, Guatemala, etc. Fenugreek gum powder is highly popular since the early days. Earlier it was mainly used for edible purposes. However, it is now widely utilized in various industries like pharmaceutical as well. Fenugreek gum powder also has several medicinal properties. It is therefore commonly used in the pharmaceutical industry for preparing various medicines, as well as for weight control formulations, and other diet food. 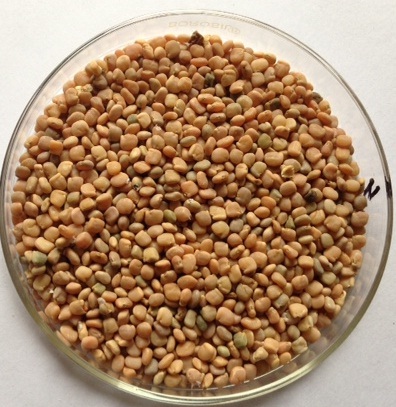 Today, a number of fenugreek products as well as extracts are commonly utilized in the manufacturing industry .In fact, as compared to the other gums such as guar gum and locust bean; fenugreek gum is much more superior in terms of quality. 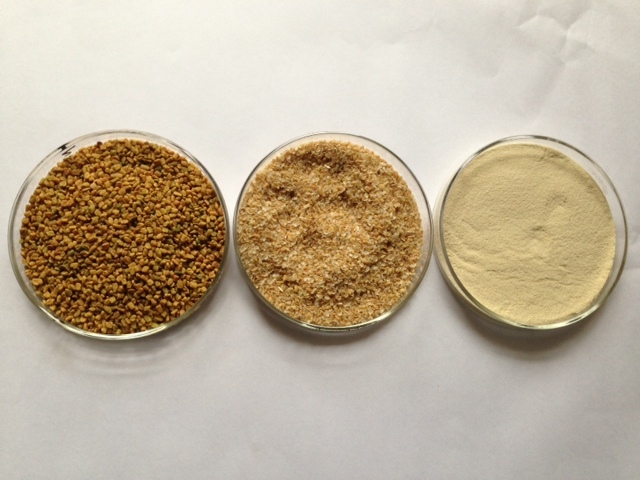 How is Fenugreek Gum Powder Manufactured? The process of preparing fenugreek gum powder or goma fenugreek is simple. In short, it basically starts with collecting the fenugreek seeds and then cleaning them to remove all the impurities. They are then dried and finally grounded to make powder. The detailed procedure involves placing the fenugreek seeds in a cast iron pan with a heavy bottom. In the next step, the seeds are roasted over a low flame, and stirred continuously. After the seeds are roasted their bitterness gets reduced. Besides this, flavor is also added to make the seeds more palatable. Further, when the seeds become brown they are removed from the heat and allowed to cool. Thereafter, the seeds are placed in a mixer to grind them into powder form. Moreover, a whiz is also used to prepare fine powder. It is then stored in an airtight jar, for using the powder later on. This light cream colored powder is finally packed under hygienic conditions with aseptic measures, for long term storage and safe transportation. Fenugreek gum powder or goma fenugreek consists of galactomannan which is one of the important polysaccharide gums. This is high molecular weight polymer, used as thickening agent or gelling agent in various food preparations. The galactomannan is basically made of galactose and is also combined along with mannan, a high molecular compound of mannose. Moreover, this galactomannan has the required viscosity that enables to easily convert cocoa into chocolate, and milk into ice cream and hence is a good ingredient for use in frozen foods. Further, it can be quickly dissolved in water to form gum. It even has the capacity to mix water and oil. This is possible due to the hydrophilic property of galactose, and the hydrophobic property of mannan. As a result, this galactomannan is highly suitable for various food and pharmaceutical applications. Nowadays, it is being used due to its high water solubility and viscosity. How to Create Gluten Free Diet Plan? A gluten free diet is necessary for those who are allergic to gluten, or the substance found in wheat which gives dough its elasticity. Many people allergic to gluten will get a terrible stomach ache after eating wheat-based products because the body is unable to process the gluten, leaving it unsettled in the stomach and greatly upsetting the stomach muscle. Luckily, gluten allergy sufferers have guar gum and guar seed available for gluten free baking and eating. As mentioned above, one of the symptoms of gluten allergies is a stomach ache. Other symptoms include digestive issues such as diarrhea or constipation. Other sufferers will complain of heartburn from a gluten allergy. This is all due to the body trying to pass what it cannot process – the gluten in the wheat. The stomach acids work overtime, creating a backlash into the esophagus. Meanwhile, the body attempts to move the gluten through the body without breaking it down, causing the constipation, diarrhea or other painful digestive issues. 1. Eliminate all gluten-based products from your diet. This means no more bread, pie, pizza, or anything that contains a wheat product. 2. Research about guar gum, and guar gum for gluten free diets. You will find guar gum gluten free baking on your journey as well as information on guar seed and goma guar. These products are very good for gluten allergy sufferers. 3. Bake and cook with guar, guar gum or guar seed to feel better and escape the painful side effects of gluten allergies. Guar gum is essential to creating a gluten-free diet because it is a thickening agent often used in baking. It acts as a stand in for the yeast which is harmful to gluten allergic people. It comes in a powder, as does the yeast, and is extracted from the guar seed. Guar gum can be used in nearly every recipe in the kitchen, producing the same recipes as the gluten used to produce. Gravies, pies, breads, desserts, stews, sauces, soups and breakfast foods can be made with guar gum. Guar gum gluten free baking is nearly as simple as baking with gluten, and the taste isn’t much different. Many people fear they are trading taste for health, but the reality is that the guar gum doesn’t taste different than the gluten-based foods. The benefits of a gluten free diet extend beyond those who are allergic to the substance. Of course, those with a gluten allergy feel better right away when the gluten is eliminated from the body because the body is no longer trying to process something it can’t handle. Some people who are not diagnosed with a gluten allergy might also benefit from a diet consisting of guar instead of gluten, according to Harvard University. Gluten is a protein and is very difficult for the body to break down, so eliminating or reducing it in the diet helps the body move food through the digestive system faster and easier. Some individuals having temporary digestive issues will reduce the number of proteins in the diet until the issues subside. These people do not have a gluten allergy, they simply have temporary digestive issues which right themselves through proper diet. Disperse printing thickeners are made of thick paste that is either synthetic or natural and they have the natural ability to absorb water to make localized printing. They are made of guar powder, or carboxy methyl tamarind that is sticky for easy application on the textile surface without showing signs of bleeding or bulging. The cloth should be free from saline solution to avoid flushing which will diminish the viscosity of the gum that eventually results to surface damage. The pastes are the result of weighing out which melts the colorants and chemicals and then mixing them with the prepared thickening agent. Guar gum printing thickener is an important component in textile industry because of a number of uses. Guar gum for textile printing aids in direct painting on wool, nylon and silk. They are also use in printing dyes on cotton fabric, carpet printing, acrylic blanket printing, burn out printing and vat discharge. As color enhancers, the gum in printing gives life to print by giving color value to disperse dyes. Gums blend well with disperse dyes in the printing of polyester and similar fabric. Outlining the design – The hydrocolloid is used by printers to guide the design so that it does not bleed or extend to its borders. Prevents chemical reactions- Guar gum for printing has the ability to stop premature chemical reactions in the printing process. Guar gum for textile printing plays a major role in printing textiles. They are made of macromolecules and they are capable of absorbing water to create a sticky paste adding color value to the textile. The hydrocolloid is the most popular ingredient in making a highly concentrated thickener which produces off white powder. It is a by-product of guar beans that are milled and properly threshed out to produce. As for textiles, guar gum is an efficient printing thickener because of high presence of galactose which is soluble and good stabilizer. It has high viscosity level compared to xantham gum and high solubility as compared to the locust bean gum. Gum slurries are formulated to produce liquid gel concentrated after hydrated for minutes and they are mixed with surfactant and other substances to come up with a guar gum for textile printing. Carboxy methyl tamarind is another textile thickener which is a derivative of polysaccharide and 20 % ash content and 9 % moisture content. It is multipurpose thickener that is helpful in numerous applications for different types of materials such as cotton or vat dying.